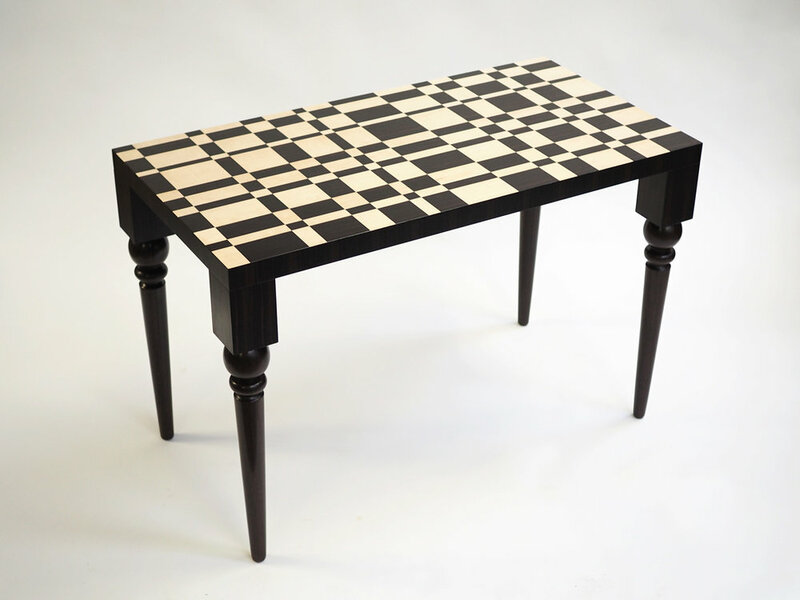 See all the interesting custom made projects we have worked on from dining tables to cabinets to chess sets. Plus find out how you can to get something made specially for you. The process is simple and quotes are free. Although we have a collection of furniture this is only a small insight what we do. 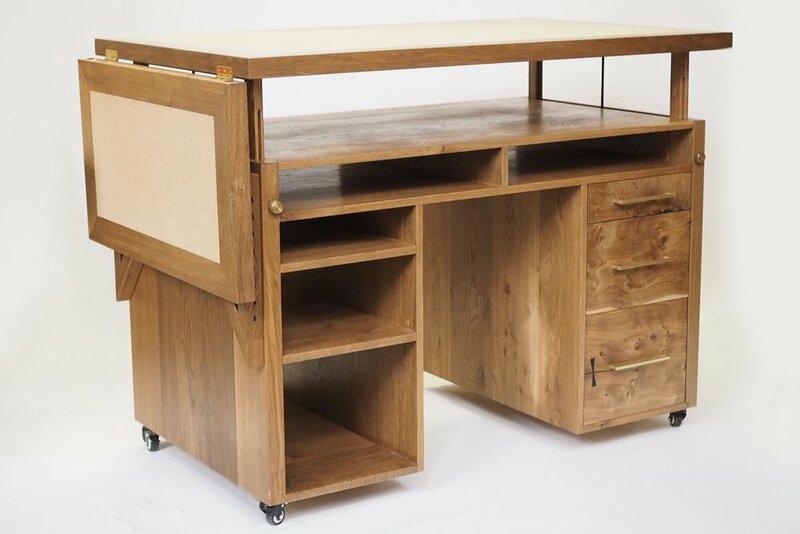 We spend most of our time working with clients on original, custom made items of furniture. Whether you already have a clear idea of what you want or need some inspiration we’re here to help. So how does the process work? 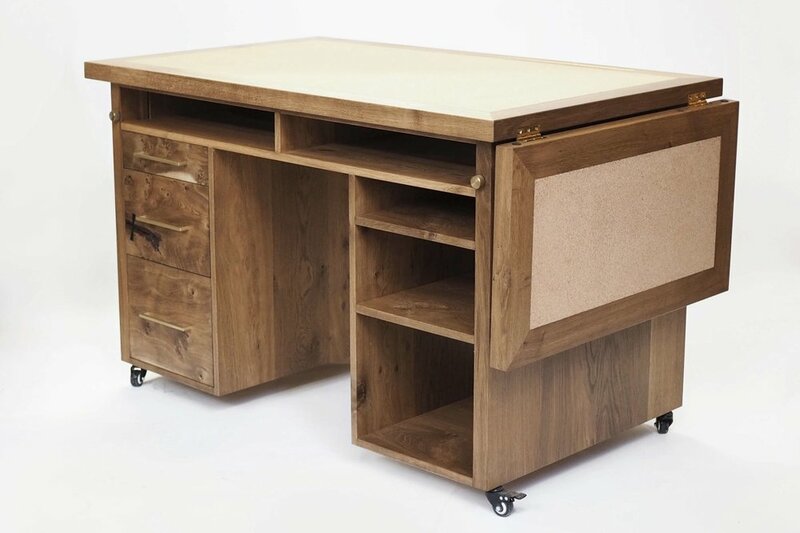 Well send us an email or give us a call and tell us about what you would like us to make - waney edge dining table, coffee table with storage, jewellery box with a personal touch. 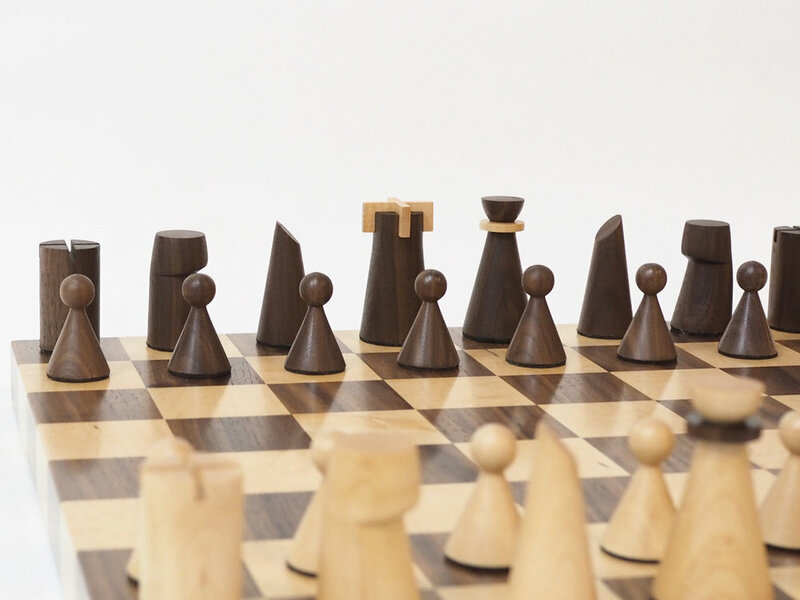 The more information you can give the better but if you don’t have all the details yet don’t worry, don’t let it stop you from getting in touch. In some cases you may know exactly what you want and if that’s the case we will move strait on with getting you a quote for the job. If you need a bit of help then that’s no problem we happy to give suggestions and ideas. We will usually provided you with some sketches and two or Three different ideas fro you to choose from with prices for each option. Depending on the complexity of the project and how much design work is required we may ask for a small design fee to cover the work that goes into this. This means you get some quality designs and acculturate quotes, not a rush job. If you go ahead with the project the design fee is taken off of the total price. If in the unlikely case that we can’t design something you like then we will refund 50% of the design fee. Take a look below and some of the amazing projects we have worked on so far. Want to get started, contact us now. 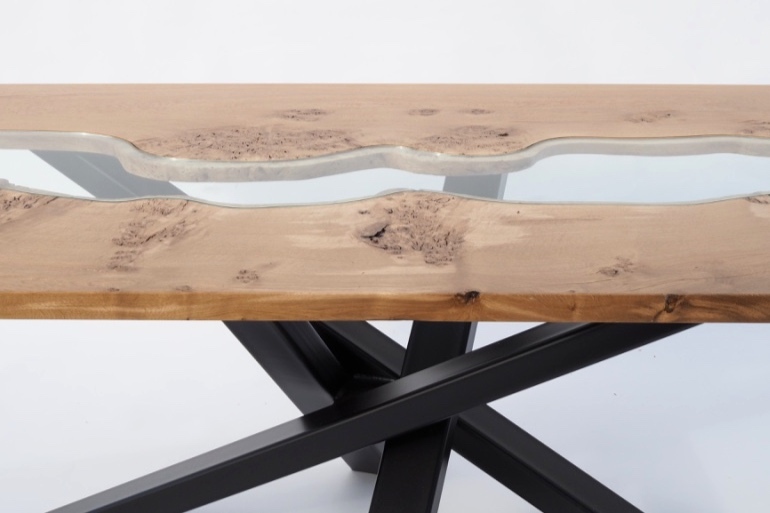 Greg Klassen’s infamous River table has set off a craze of matching glass to the natural curves of wood in the woodworking community. We knew it was only a matter of time before we would be asked to make something like this ourselves and we were keen to take on the challenge. 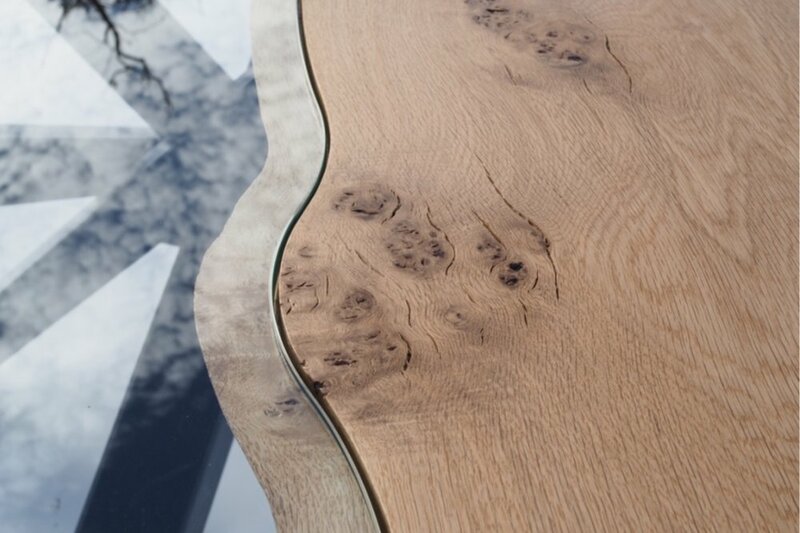 We carefully selected some very characterful, burry oak boards for this piece so that we could achieve that wobbly river look. 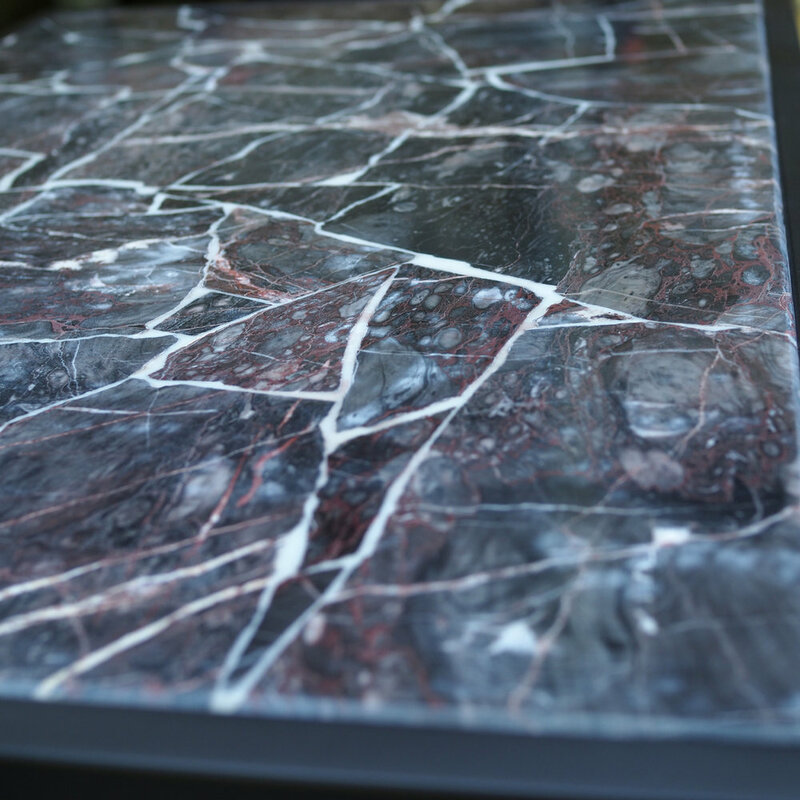 We had the added challenge of trying to combine this table top to a complex metal pedestal leg design to the clients request. We managed to pull it off and were so pleased with the end result. 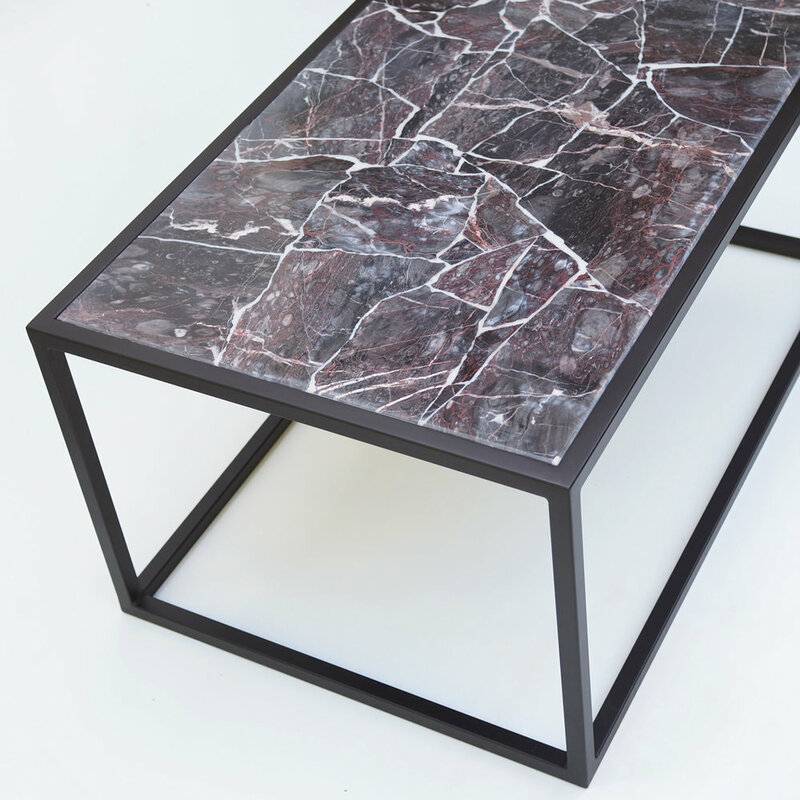 Sometimes we will get a client who wants a piece that is very close to something we have already made but just with a slight alteration. This is a perfect example of this. 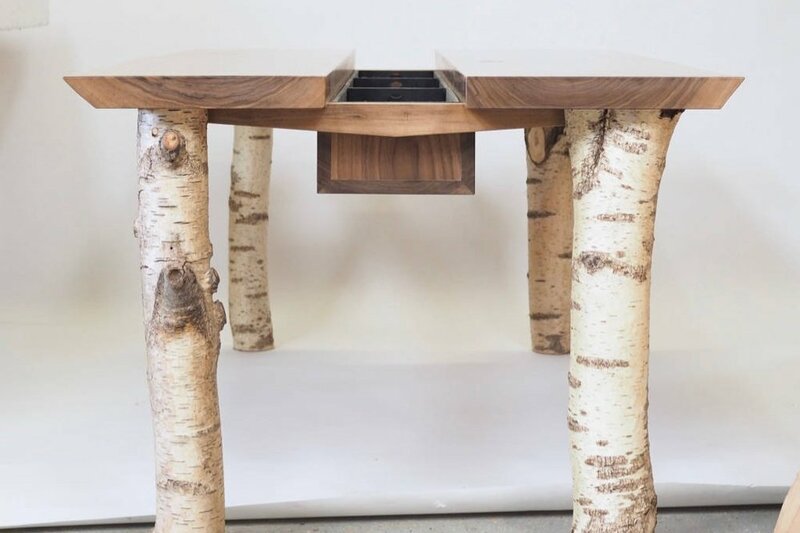 Our Forage Dining table but in walnut instead of ash. We also increased the size slightly and added some contrasting maple bowties across the natural spits of the wood. 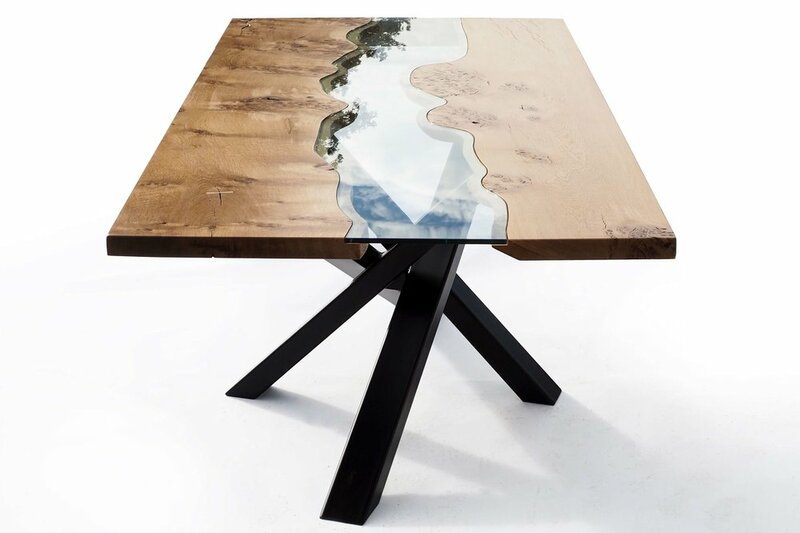 Tailor made for tailor Sara Fay These tables are designed to be very functional, making life easy in their day to day use, as well as being stunning, heirloom quality pieces. 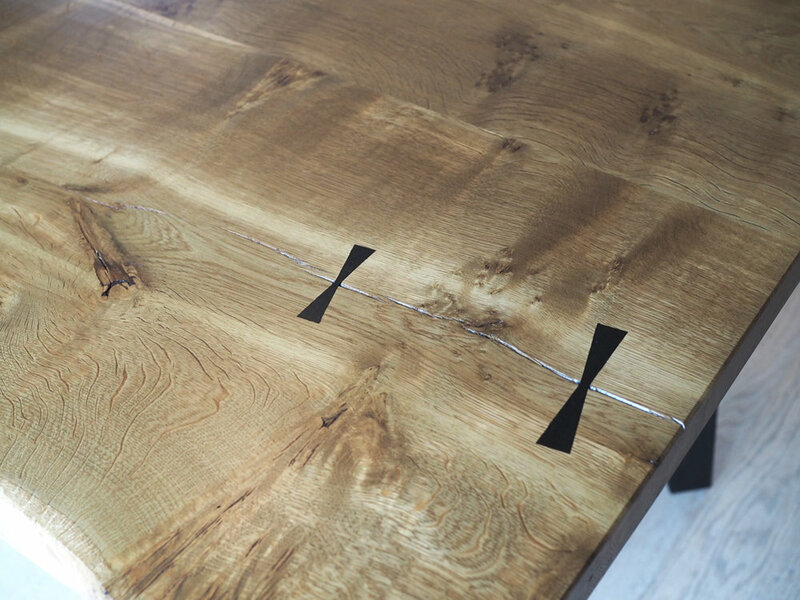 The tables are made from solid oak that we have fumed to achieve a rich golden brown tone. 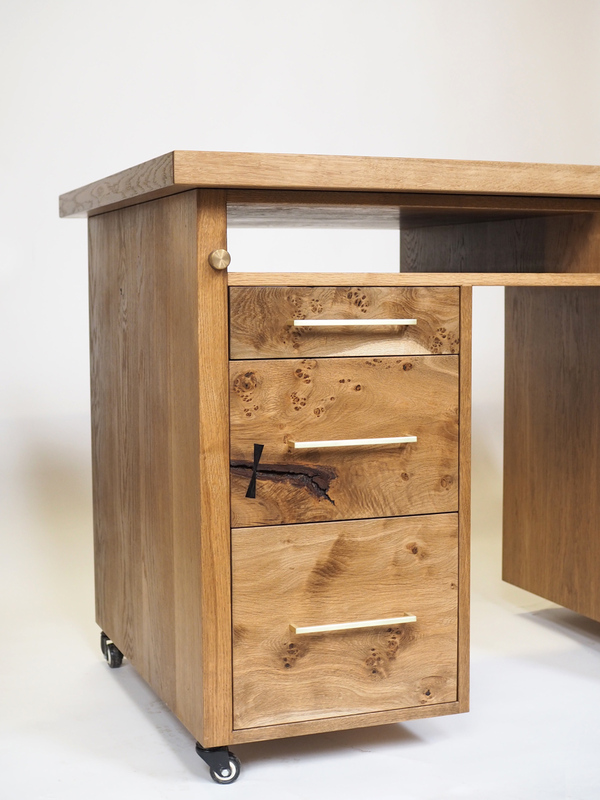 Either side of the able can be worked at with 3 drawers either side and multiple storage shelves that are the full width of the desk. 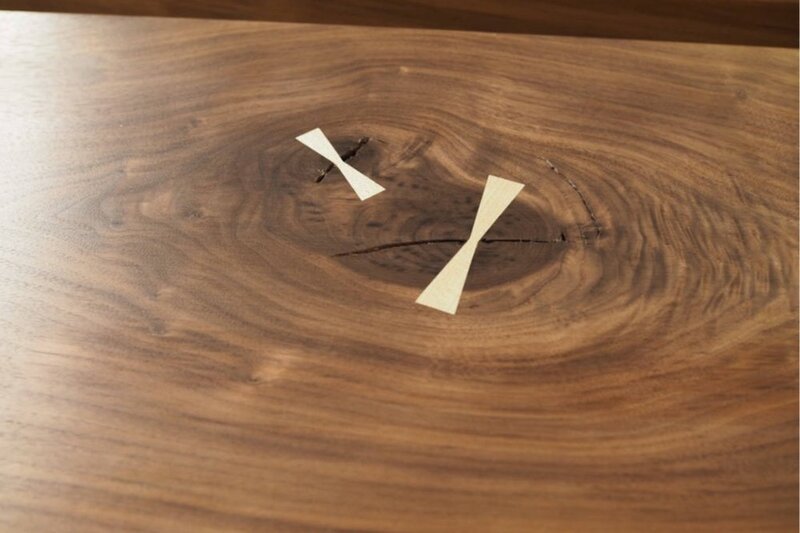 Each side also has an inlaid brass ruler for quick measuring of fabrics and replaceable cork panels for pining fabrics. 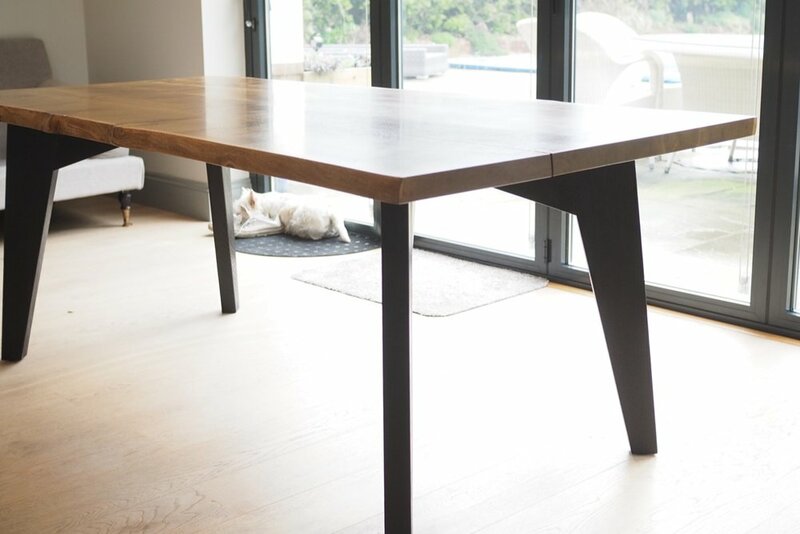 The whole table top is height adjustable with a range of 200mm. 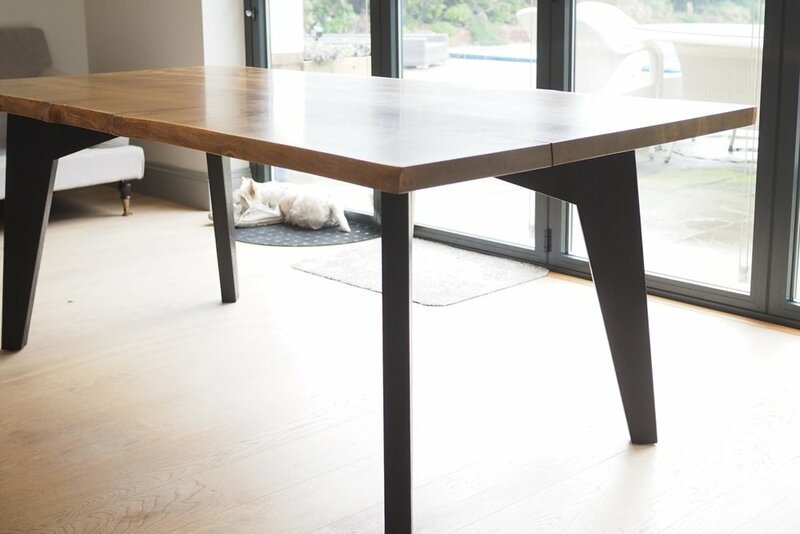 The top can also be extended by raising a flap which is held in place by brackets with multiple height hooks depending on the height the table is set to. The whole table is on heavy duty castor wheels so that despite the weight the tables can easily be moved around the studio. 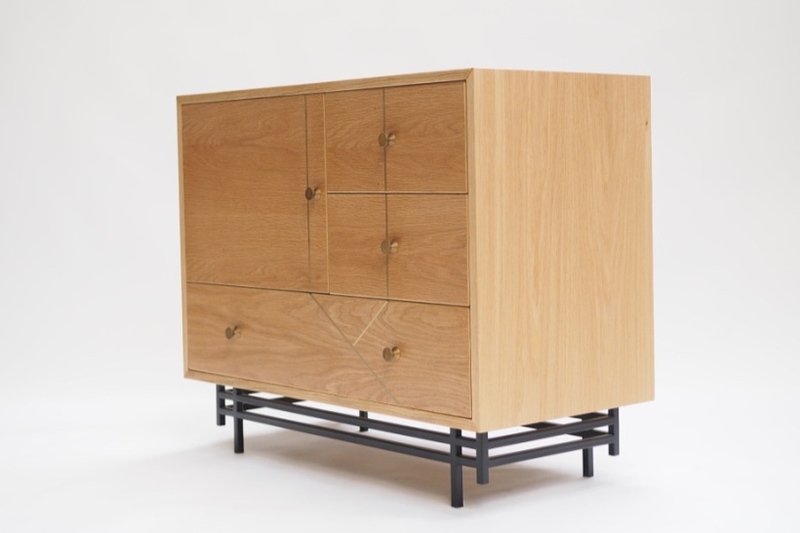 Draw fronts are made from character oak with bog oak bow ties and features such as the hinges, handles and adjustment knobs are all brass. 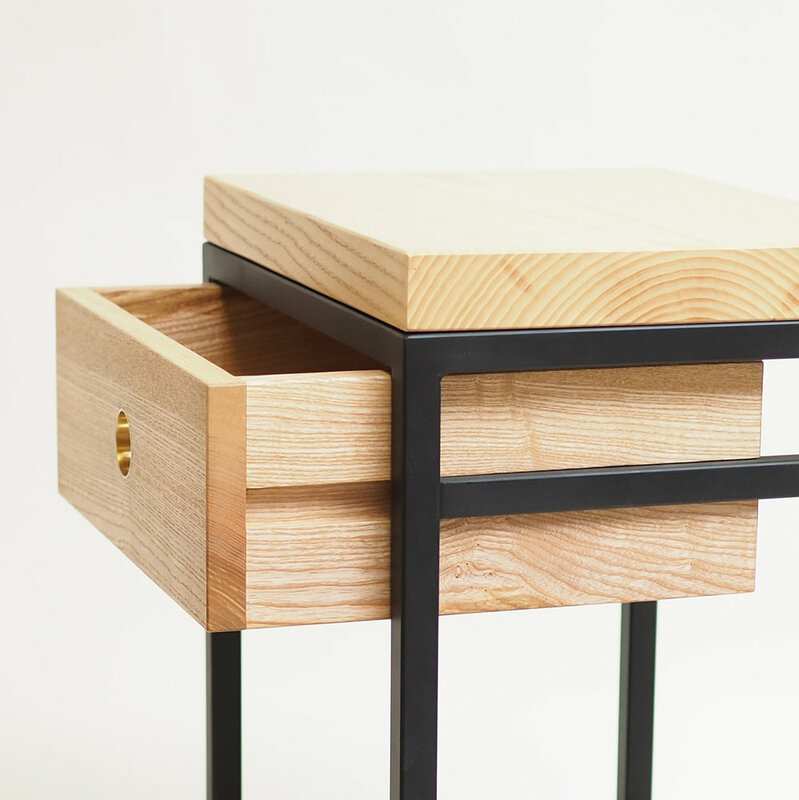 The main carcass of this unit is made from solid oak which is sat on an intricate black square steel frame. 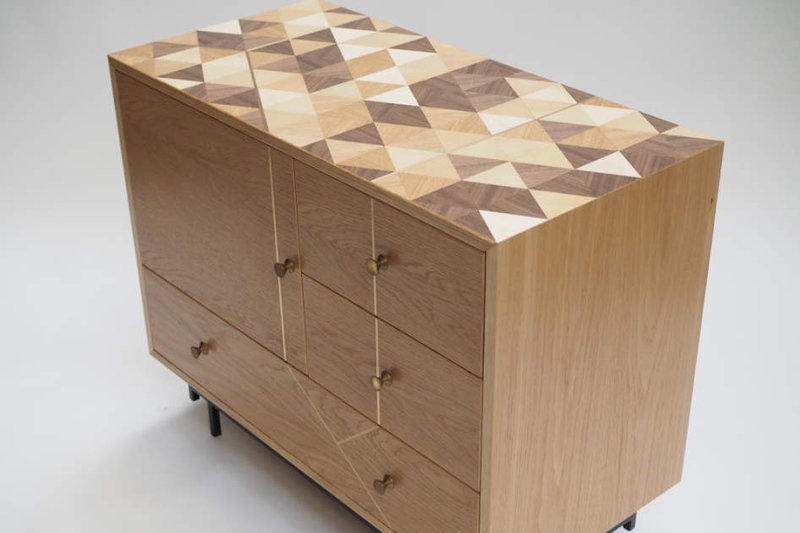 The top is made from a custom designed laser cut veneer made up of oak, walnut and maple triangles as well as inlayed brass that complements the geometric pattern. 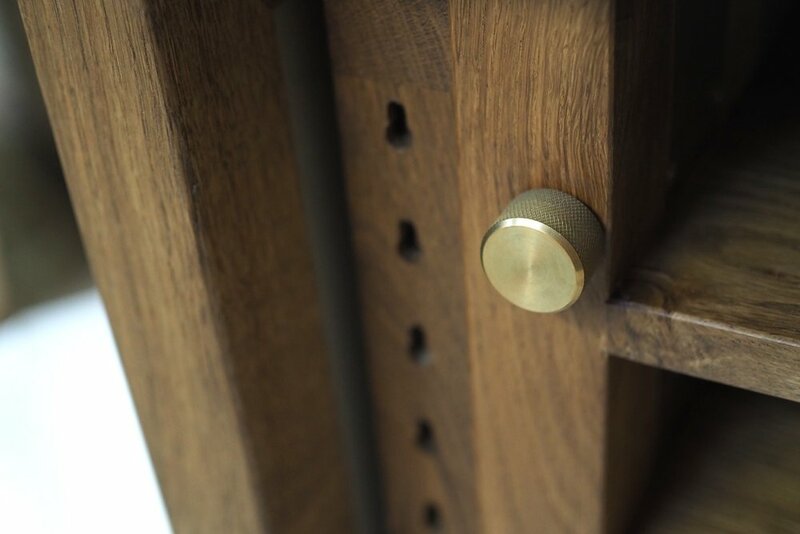 The brass lines continue down the front of the cabinet and match the handles that where also made by ourselves. Finally the three draws and cupboard are all soft close making the cabinet not only pleasing to the eye but enjoyable to use. 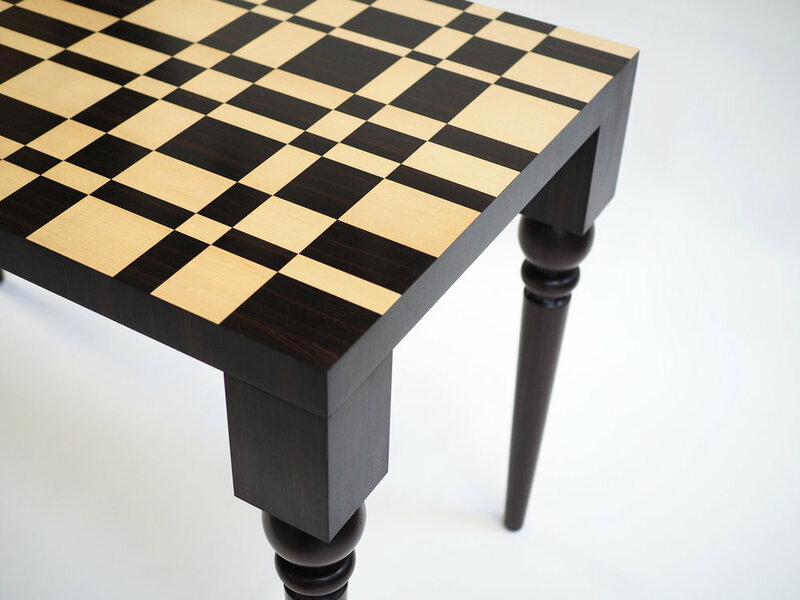 It’s not all furniture, we make small bespoke items too, check our our take on a chess board. 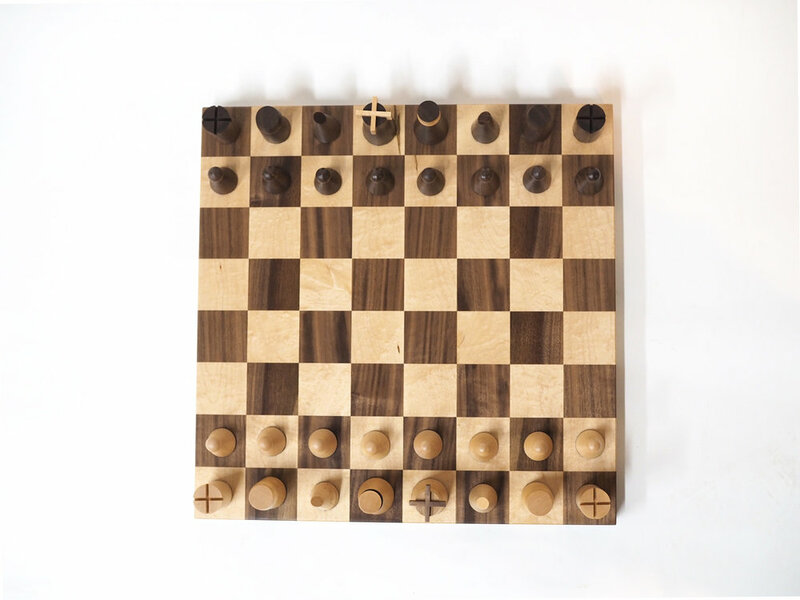 We made this piece for a client as part of an art installation they were setting up. 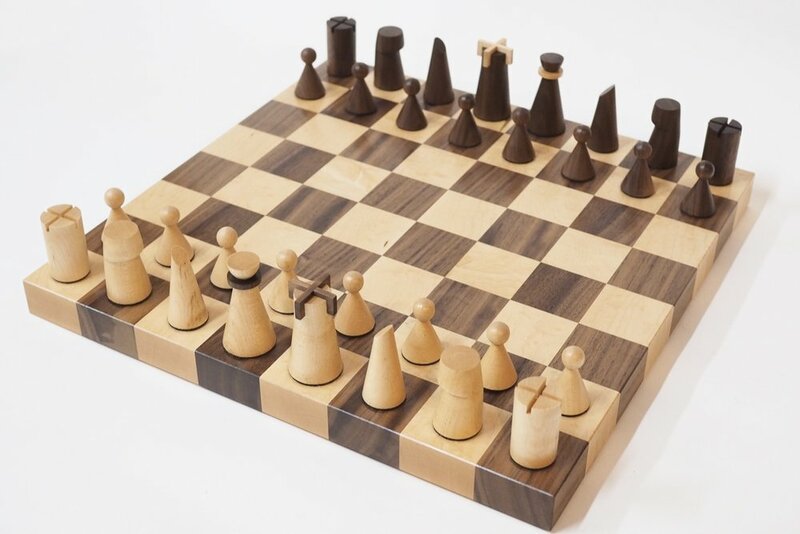 The purpose of the table was to hold some special wax seals that resembled chess pieces. The specs for this where very specific. 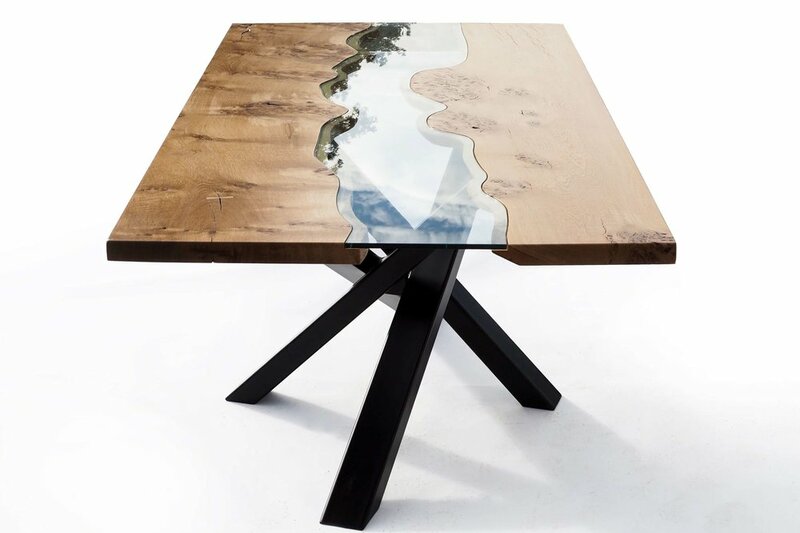 We created a vector image for the table top design so that it could be cut out in maple and macassar ebony veneer. 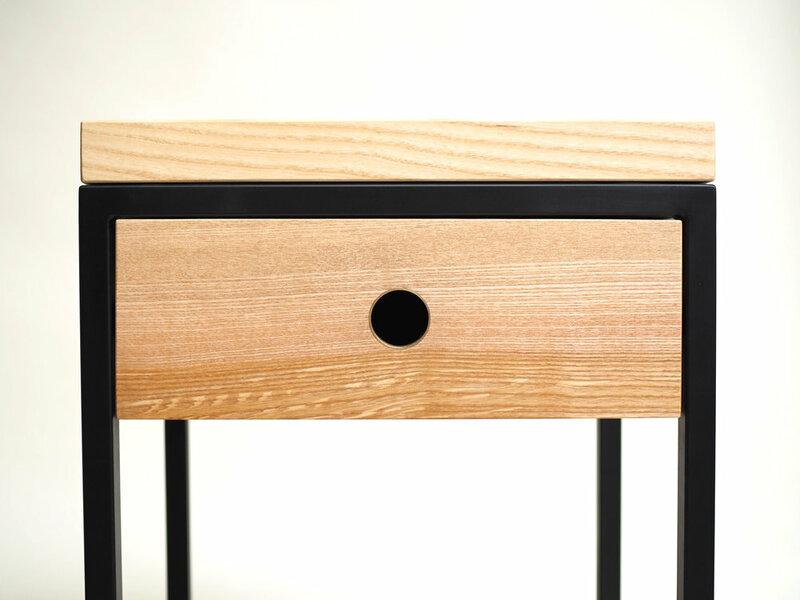 The legs needed to match but couldn’t be made from ebony so are made from a roasted bamboo material, which matches perfectly. 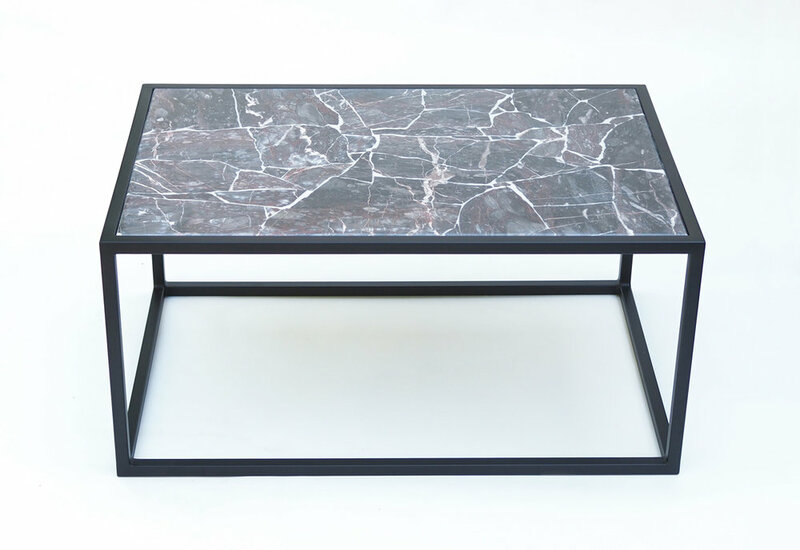 Drawing from our experience with the Kintsugi Coffee table we were able to make this piece from some rare marble that a client wanted to display. This client took ideas from our Grid coffee table and requested a small collection to suit their bedroom. 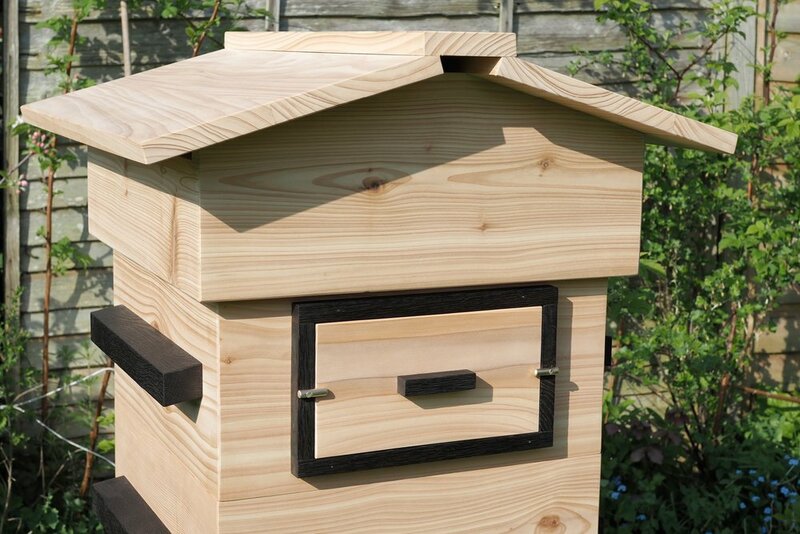 A traditional beehive with some Forge Creative style. 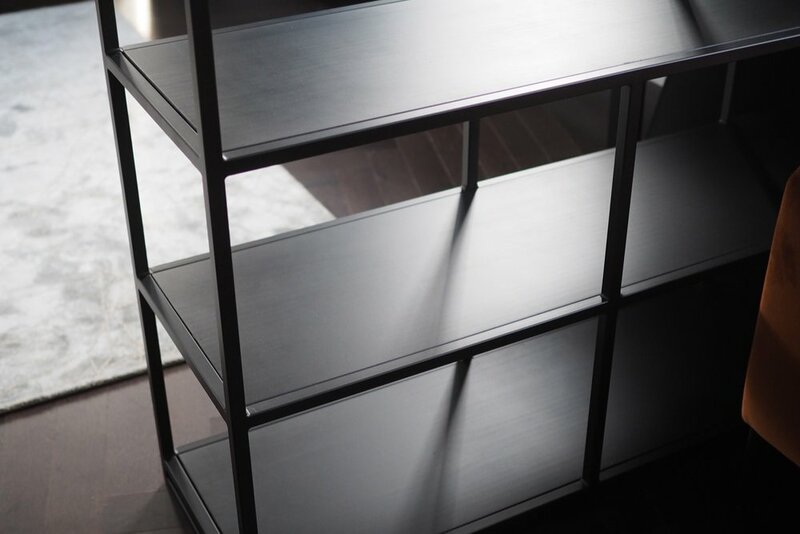 This large shelving unit consists of a matte black, square section, steel frame with matte black wood and black tinted glass shelves. Our client wanted a custom shelving unit for their living room that would be perfect for keeping books and displaying their collection of glass art. They were able to specify the style they wanted and completely design the shelf layout. 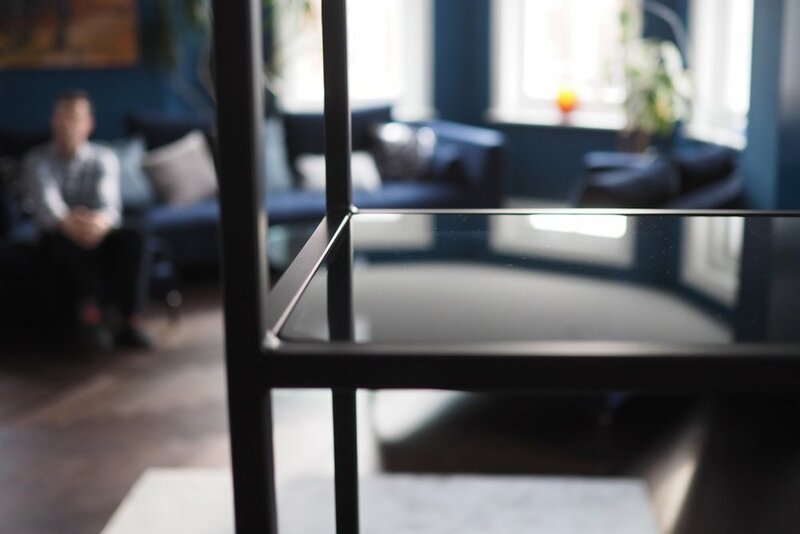 The finished shelving unit is a sleek and understated piece of furniture that despite its large size blends into the room allowing displayed items to stand out. 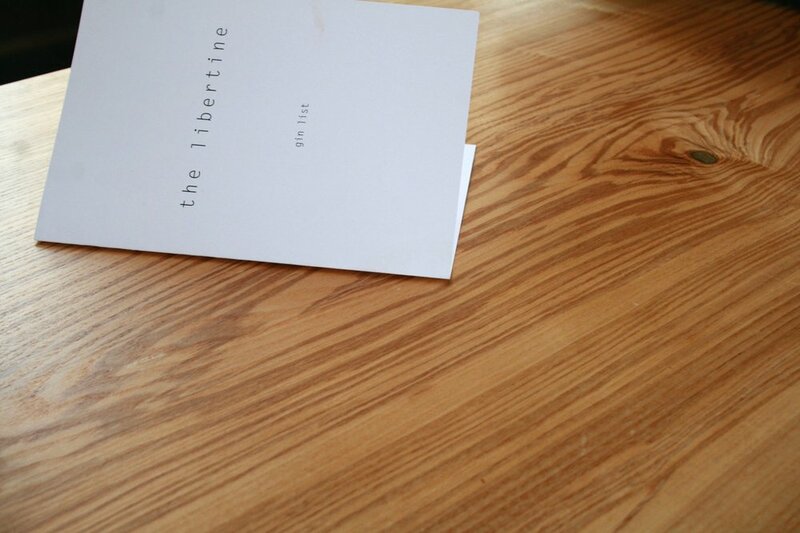 Another part of the Libertine bar we worked on were these amazing olive-ash waney edge ash bar tops. We used a arbortech angle grinder attachment on the edges so we could remove the rough bark without taking away the character and natural shape. As an added detail we fitted brass angles across the corner joins and brass bowties across the natural splits. 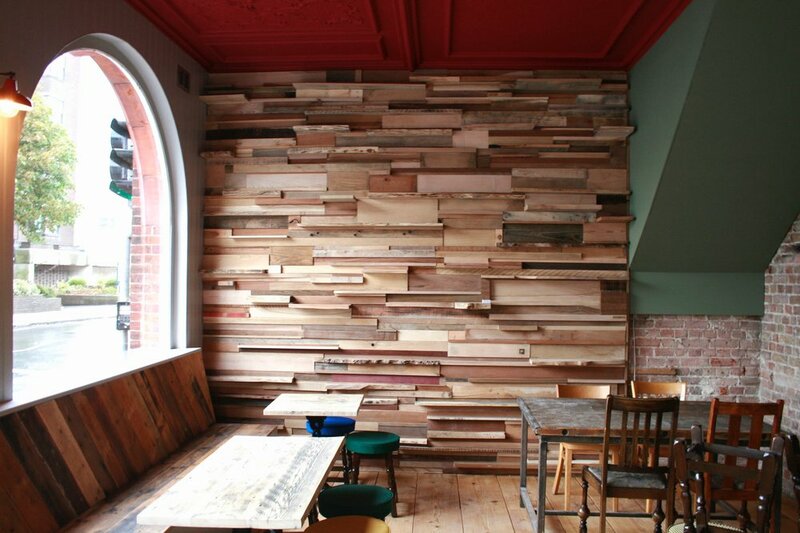 We made this wood wall for a tattoo shop in Worthing. 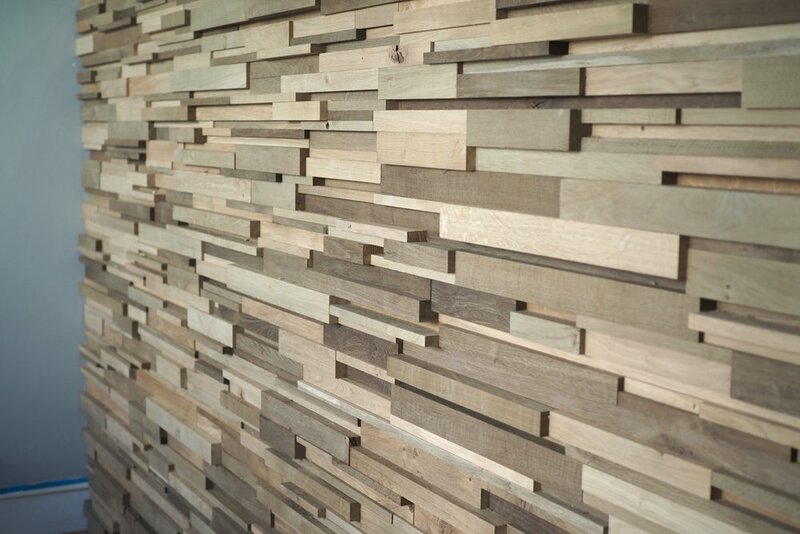 Unlike the first wood wall feature we made this one is purely made up of oak and we have used fuming to achieve different tones. We have given the oak four different stages of fuming; un-fumed, 30mins, 2 hours and 12 hours. 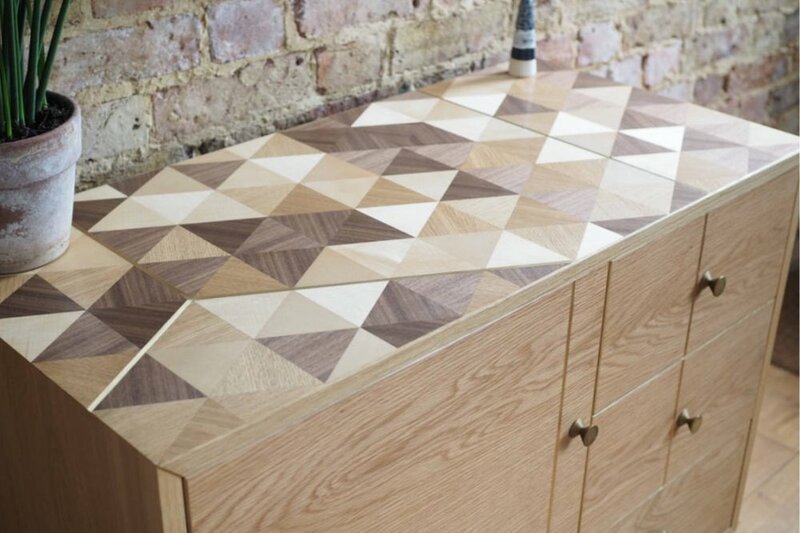 The results were a really amazing collection of wood tones that contrast but also complement each other. As you walk around the L shaped wall to get to the tattoo studio we have gradually increased the darker tones to give a gradient that finishes with really dark charred oak. 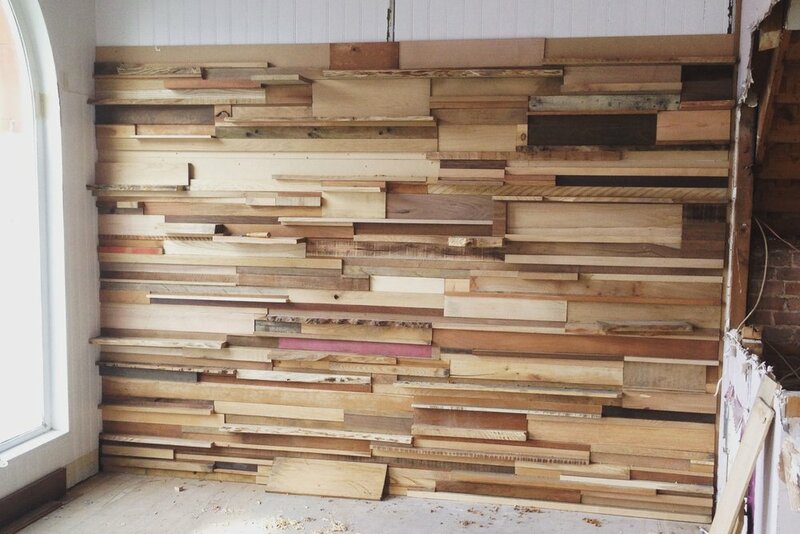 Using off-cuts from a local joinery workshop we made a random stack of different sizes and types of wood. The stack included, oak, ash, elm, cedar, walnut and sapele just to name a few. 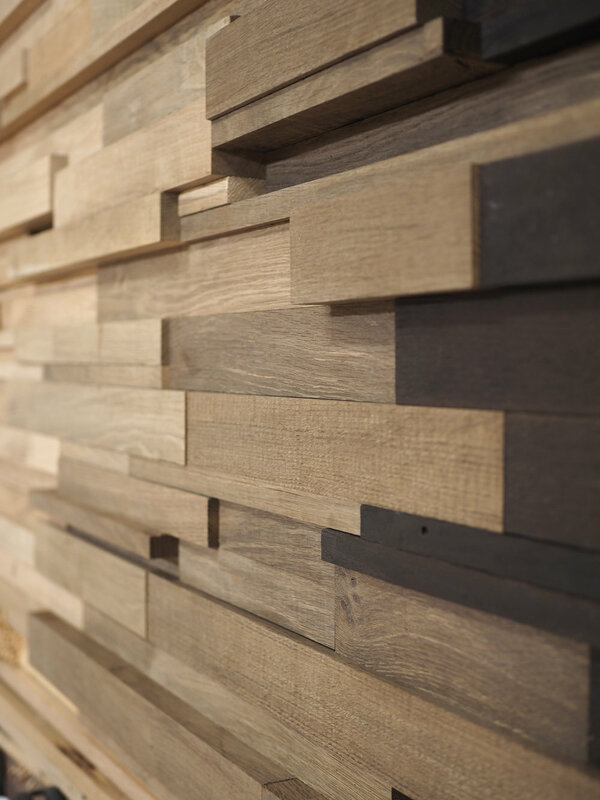 The wood pieces also stick out from the wall at different depths allowing some of the pieces to be used as shelves. We hope you enjoy the final outcome as much as we do. This feature wall was made for the Libertine gin bar in Worthing along with tables, fixed seating and bar top. Go check it out when your feeling thirsty. Inspired? 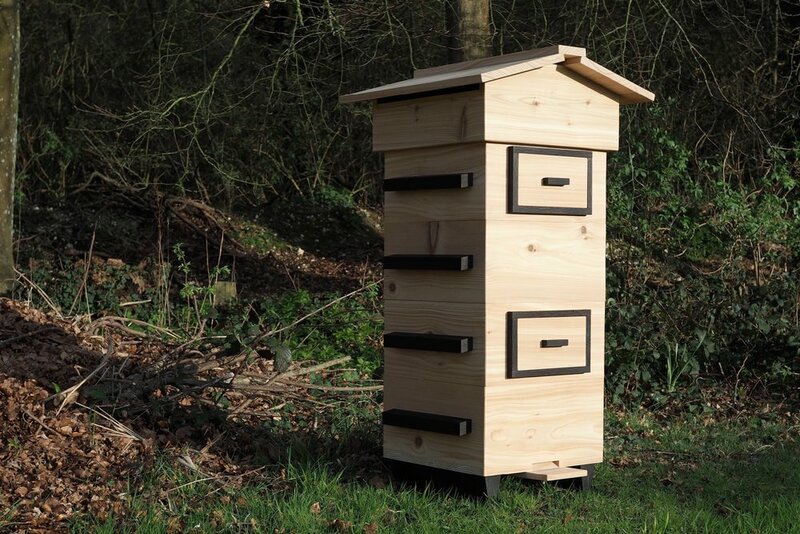 Got a project for us? Contact us now.